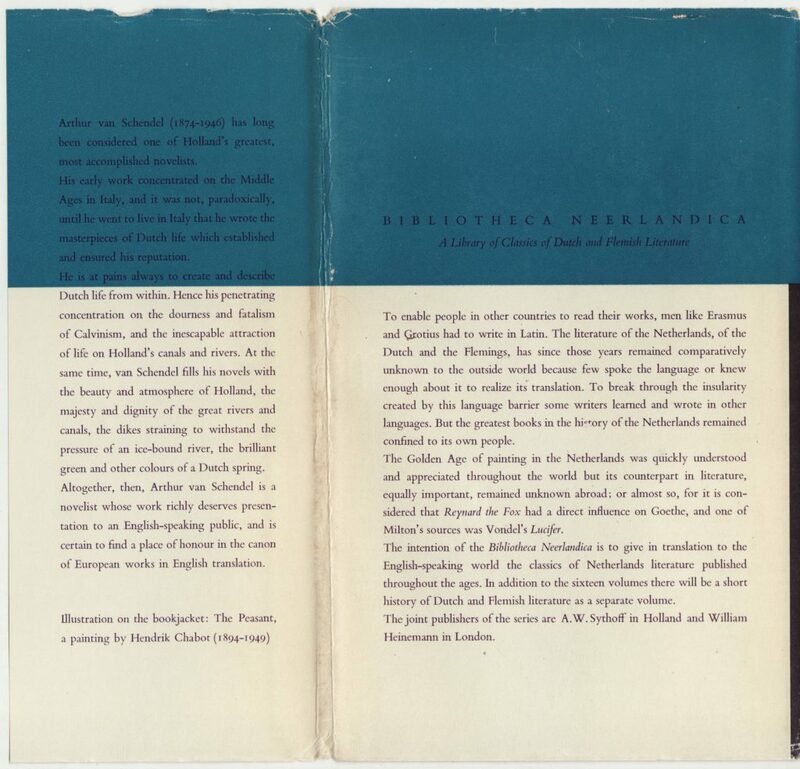 Continued by Bibliotheca Neerlandica Extra Muros, published by Nijhoff (The Hague), 1970-1978. 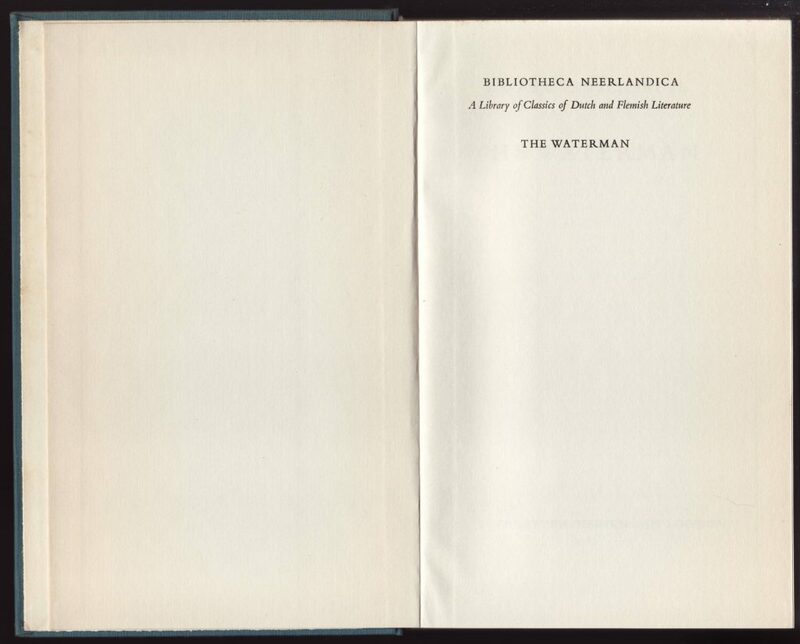 Bibliotheca Neerlandica, subtitled “A Library of Classics of Dutch and Flemish Literature,” was a cooperative effort by the Leiden, Netherlands-based publisher Sythoff and London-based Heinemann. Titles were published in the US by the New York-based publisher London House & Maxwell and at least one by Putnam, also in the US. 17 titles were planned, but only ten were published, due to problems with translations and sales. 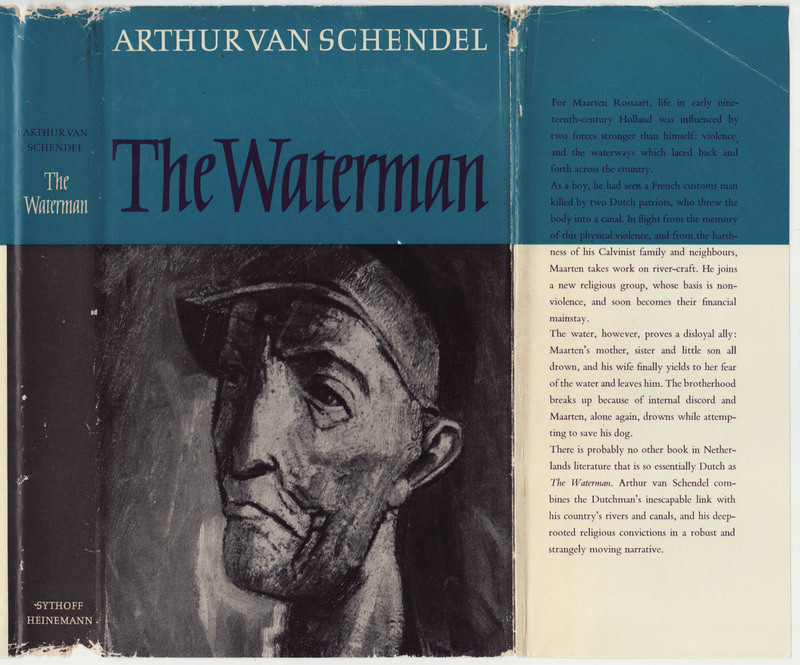 This copy of Arthur van Schendel’s The Waterman, originally published in 1933, was translated into English for this 1963 edition in the series. Jackets are unique to each title. 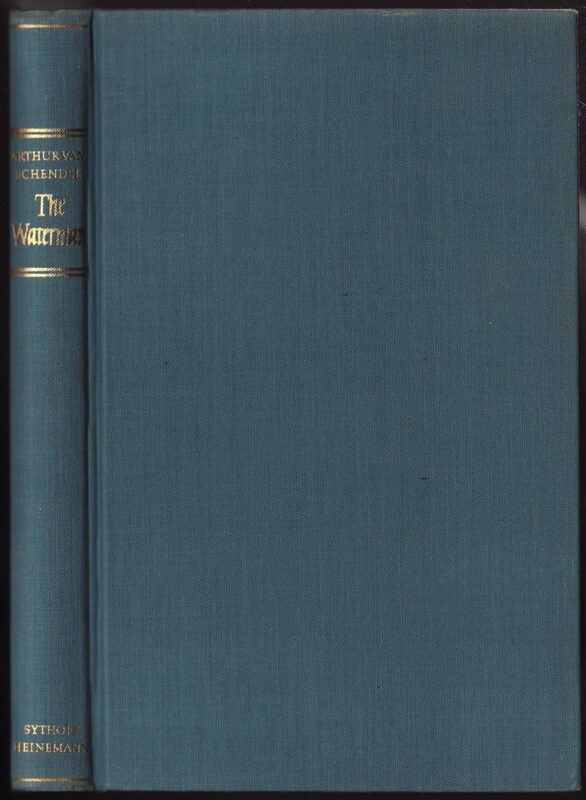 The series name is not indicated on the jacket spine, front, or front flap. 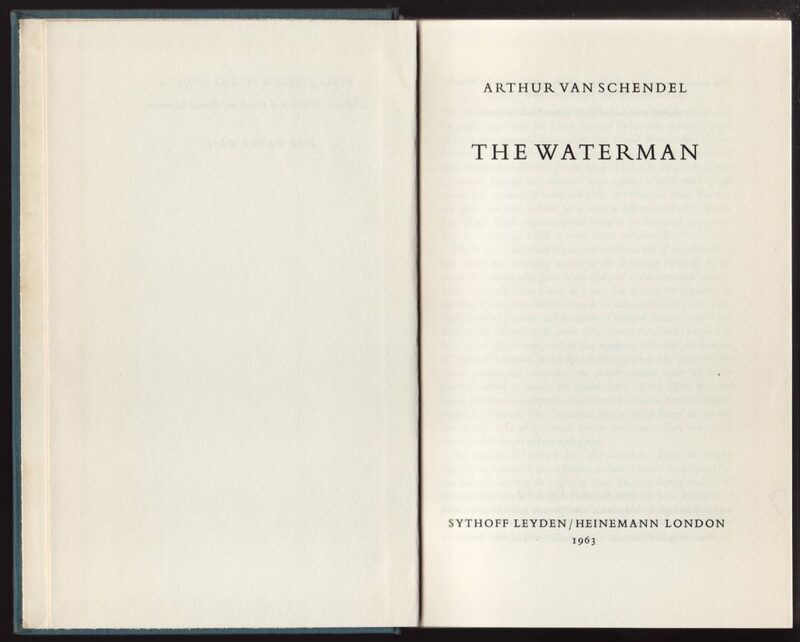 A description of the title fills the front jacket flap. The description of the title continues from the front flap onto the rear flap. The series name is noted on the back of the jacket, along with a description of the series. All the titles were previously published and translated into English for this series. 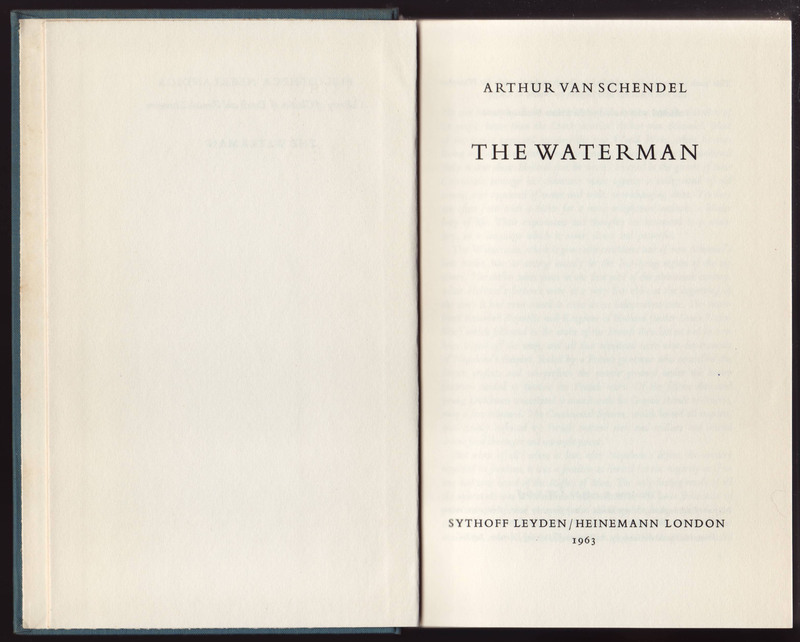 Solid blue cloth bindings include gold typography and a minimum of decorations on the book’s spine. The half-title page includes the series name and book title. A note indicates original publication in Dutch, and the translation by Neline C. Clegg. A copyright indication is also included. The book was printed in the Netherlands. 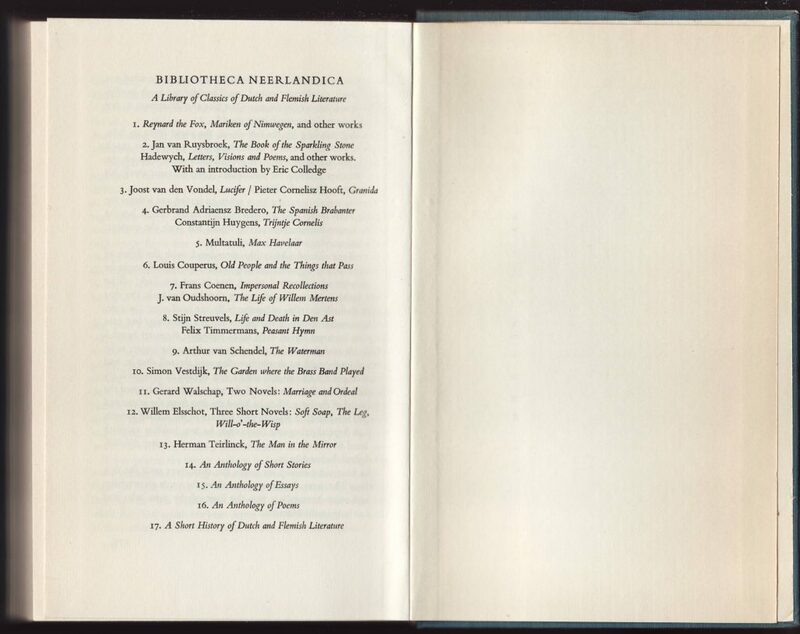 The last page of the book includes a list of the 17 titles planned for the series. 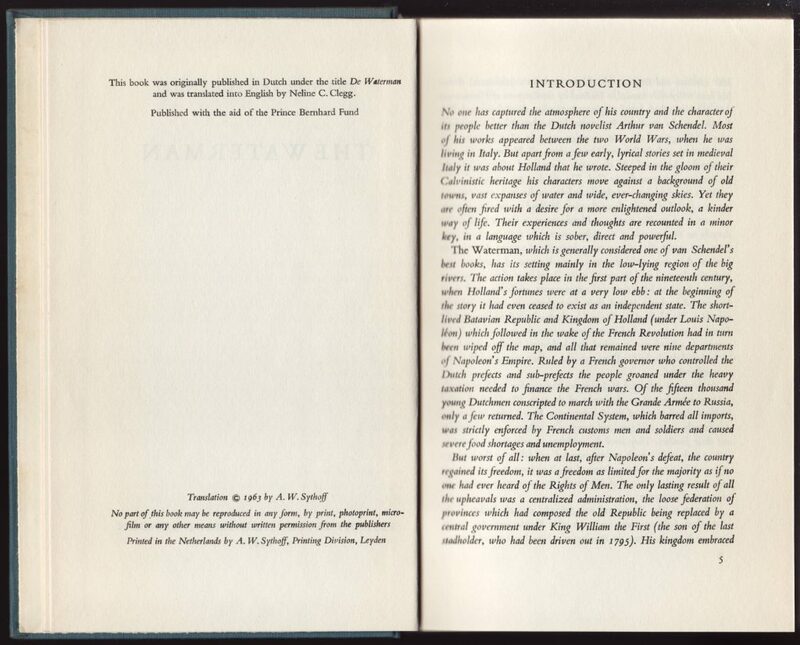 Some of the books contained two or more shorter works, and entries on WorldCat (and other sources) are inconsistent in which title they give each book. The list provides serial numbers for each title, but these serial numbers are not indicated on individual dust jackets or books. Original year of publication, along with the year each title was published in the series are included in the list below.